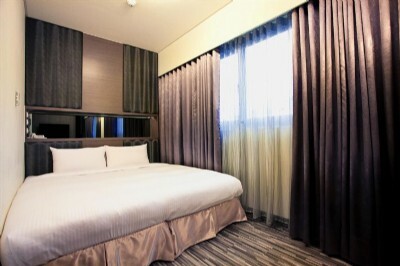 With a carefully chosen location close to KMRT Formosa Boulevard Station, Kaohsiung Harmonious Hotel offers comfortable and convenient accommodations with the famous Liouhe Tourist Night Market just one minute walk away for a mouthwatering Taiwan snacks, as well as Heart of Love River, Sanfeng Central Street and The Vision of Kaohsiung Museum, all within a walking distance. Ideally located in Kaohsiung City, KMRT Formosa Boulevard Station is just a 400m/5 minute walk, while Kaohsiung Railway Station and Main Bus Station accessible with a 10 minute walk, providing guests with the ultimate ease to the business hubs and accessibility to Kaohsiung’s main thoroughfares, such as Sizihwan, Former British Consulate at Takao, Cijin Scenic Area, Love River and many others in short KMRT/bus rides. For businessman and international traveler, Kaohsiung International Airport is about 12.6 km/20 minutes away by car, which can also be reached by a 16 minute KMRT ride. With a wonderful location in the prime district, nearby the major transportation network, the hotel is an ideal choice of Kaohsiung accommodations to enjoy a relaxing stay and the ease to splendors for your Taiwan travel. TWD 700 for additional guest sharing existing bed. Charge to be paid upon check-in. Breakfast included. Toiletries & Beddings included.